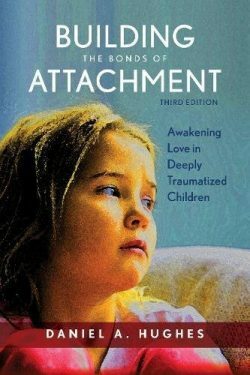 Dan Hughes, Ph.D. recently released the third edition of his book, Building Bonds of Attachment: Awakening Love in Deeply Traumatized Children. The book is a composite case history of a child named Katie. Her story begins in an abusive home and then moved into several foster homes. She finally was placed in a foster home with her foster parent, Jackie, who used DDP parenting principles and therapy to help this child find love again.